Property owners are encouraged to locate their ORG and check that they are not obstructed. 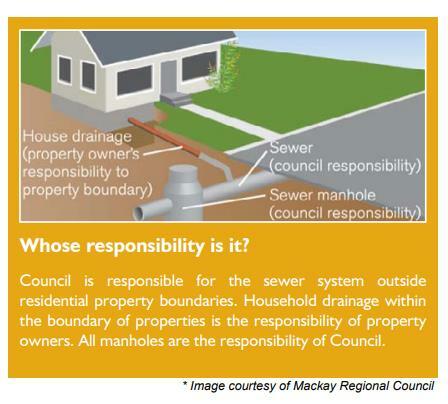 Installation of ORG is regulated under the National Plumbing Code and they must only be installed by a licensed plumber. It is important to ensure that the ORG is installed below the level of the lowest plumbing fixture in the home and above the ground level outside to prevent inflow of storm water. If property owners are unable to locate an ORG on their property, they should contact a licensed plumber to either, try and locate the existing one or to install a new one. It is important to ensure the grate on your ORG is loose so that if it gets clogged or blocked, the pressure will lift it off and the gully will overflow outside. Council has determined and set appropriate level of Customer Service Standards for a range of performance indicators based on historical records for its water supply and sewerage services.